Let me tell you a story. There once was a successful little museum called Mythstories – the world’s first museum of storytelling, no less. It lived happily in an old library building in the town of Wem, until it’s landlord (Shropshire Council) and a nasty bout of dry rot meant that it needed to find a new base. Mythstories was loved not only by professional story-tellers the world over, but also by local school teachers and librarians and families, who saw the positive impact its outreach projects were having on children and young people. As luck would have it, there was another old library building sitting empty about fifteen miles down the road in Wellington – and Mythstories, inspired by local young people they were working with, knew it would be perfect for their new home. It’s huge array of exhibits could live in the 20th century part of the building, where they would take school children and visitors on journeys around the world and across the centuries. The Edwardian-fronted middle building, meanwhile, would house a Youth Cafe and social space run by local college students, as well as exciting projects like a community radio station – a 21st century twist on the story-telling theme. Finally, the oldest part of the site would be restored as a living re-creation of Wellington’s original workhouse, again partly-staffed by students and apprentices bringing a historic space to life through storytelling, performance and the curating of exhibits. A steering group formed to take the plans forward, the Borough Council (who owned the building) knew something exciting was brewing, and the Town Council gave their support. It would tick SO MANY boxes for a Borough Council working to revive its borough towns, support children’s learning and generate skills-development for young people. Initially, the Museum would have needed a lease on the site with a peppercorn rent, and over time they would have purchased the site themselves. 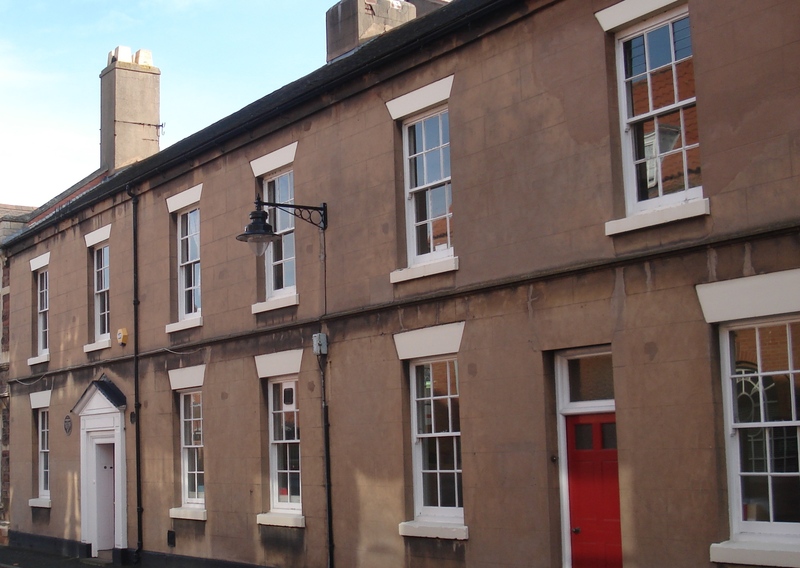 All it needed was for the Borough Council to see the potential, and take a decision that in this case, the monetary value realised from an immediate sale was worth deferring. Far from mythology, this was all a very true, very exciting story – up until couple of weeks ago when Telford & Wrekin Council sold the site to a housing developer. End of story. Dez, Ali and the rest of their steering group are, of course, very disappointed – in fact, they didn’t find out until they saw a ‘SOLD’ sign go up. But we should ALL be disappointed – disappointed that such a fantastic opportunity for Wellington has been missed when it was staring us in the face. So, what next? Is the story really over? Well it might not be too late. Dez and Ali are still keen to relocate their fantastic museum to Wellington. But that is all dependent on them acquiring a suitable building. They need at least 200 square meters of space, somewhere in the centre of the town, with a ground floor presence. Can we help them? We’re unlikely to turn up another perfect opportunity like the old library – historically-interesting, well-positioned and publicly-owned – but there are other vacant sites out there. As a town, we all have to support them. That means the Town Council, local schools, community groups, individuals – anyone who wants to see this happen in our town. The Borough Council has a lot on its plate these days, and if they don’t find it easy to see the potential of this project, the rest of us need to step up and get things moving. So please, let’s not allow this rare chance slip away. Dez and Ali can’t wait for ever, and I’m sure there are other towns out there who would love to host them. Get our act together, and that town could be ours. So sorry the story doesn’t have a happy ending ….yet. Its those giants that need special consideration – at 5m tall they are used to plenty of headroom.